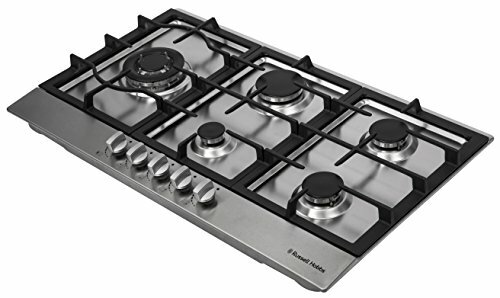 This Russell Hobbs gas hob has a sleek and modern stainless steel glass base, sure to make a statement in your home with stainless steel burners and stainless steel cast iron pan supports to keep your hob safe and look stylish. 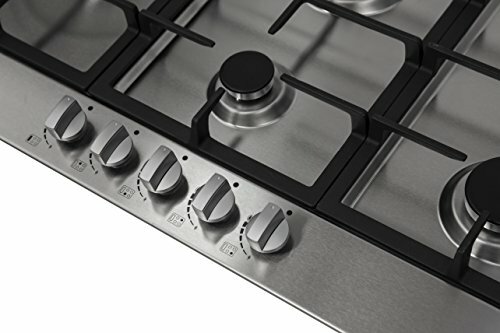 The RH86GH701SS has 5 accessible dials that independently alter the temperature of your hob rings. This means that you can easily cook a variety of different dishes at the same time and change the temperature to best suit your dishes. 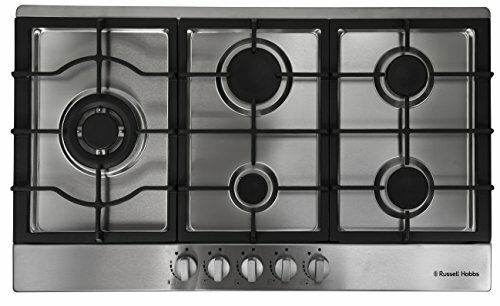 This gas hob has 5 different cooking zones for your convenience, a triple zone, a rapid zone, 2 semi-rapid zones and an auxiliary zone. With varying wattages, ranging from 1000 watts to 3600 watts, on each hob ring, you have full control over how you want your food to be cooked, giving delicious dishes every time. With an automatic ignition, the RH86GH701SS is incredibly easy to use. 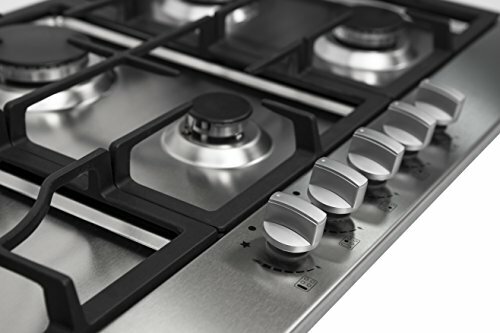 Just the action of turning the dial will ignite the gas, saving you time and effort and meaning that you can heat your hob rings with the simple turn of a dial. The appliance has a flame failure device that cuts the gas flow if the flame is extinguished.